Can’t stand your job? Maybe the problem’s not the job, but the job-fit. Here are ten symptoms to check out. By definition, a job that fits you is one that energizes you and brings satisfaction because it calls for strengths you enjoy using and allows you to work in conditions where you thrive. In short, job-fit is about energy. If you gain energy doing your job, it’s a good fit. If you lose energy doing your job, it’s not a good fit. Don’t laugh! I once worked with a man who told me that every morning when he got to work, he got sick to his stomach in the company parking lot. You might say that his gut was literally telling him he was in the wrong job. If you woke up this past Monday morning and said, “I hate Mondays!” you were probably just avoiding the truth: what you really hate is your job. If you didn’t, you’d look forward to going back to it. If that’s how you feel about work, let me tell you that somehow you have bought into a lie. Work was never intended to be a curse, but a gift. I know there are a thousand things that can turn work into something awful. But work itself turns out to be hugely rewarding—if (big if!) you’re doing work that has your name on it. If you hate your job, you’re doing the wrong job for you. It’s that simple. 2. COMING IN LATE, LEAVING EARLY, TAKING LONG BREAKS. When you’re heart’s not in your job, you find excuses not to do it. The path of least resistance is to linger over coffee with a coworker, to take an extra half-hour for lunch, to set an appointment such that it gets you out of the office early, etc. 3. YOU GET LOTS OF COMPLAINTS ABOUT YOUR WORK. Mistakes happen. But they’re not supposed to happen often, and they certainly don’t keep happening when someone is gifted to the task. We’ve all had the waitress who gets all the orders wrong. We’ve all watched the weatherperson who couldn’t get the right screens punched up. When we were in school, we all sat under the teacher who was so boring even his dog ran away. You may just call those people incompetent—and they are—but a display of incompetence is one of the surest signs that someone is in the wrong job. If you’ve got a lot of dissatisfied customers, if your boss is constantly “riding you” because she says you’re not getting the job done, if your coworkers always have to remind you about balls that you’ve dropped, if you’re routinely turning in your assignments late, if you’re having to spend a lot of extra time correcting mistakes—consider that you may be trying to do a job that just doesn’t fit you. I don’t know why, but one of the most common things people tell me about themselves when they call The Giftedness Center is that they are ADD or ADHD (for attention deficit disorder or attention deficit hyperactivity disorder). I’m not doctor, so I take their word for it. But here’s what’s interesting: whenever someone is functioning in the “sweet spot” of their giftedness, they have absolutely no problem focusing on the task. I’ve never seen a case otherwise. Which tells me that if someone is having a difficult time staying on-task in their job, that’s probably a sign they are in the wrong job. And boy, have I seen lots of cases of that! There’s the lady who is never at her cubicle, but instead wanders around the office all day looking for people to engage in conversation. There’s the guy who gets up from his desk every ten minutes to go get another cup of coffee. There’s the person who keeps checking her Facebook page. And of course we all know coworkers who waste time by surfing the Internet and doing their shopping on-line (of course, we would never do that!). Some people think that focus is just a matter of discipline. But it’s not. Focus is a function of fit. If a task fits you well, you stay locked on it, because you’re gaining energy from it. But if you’re doing work that doesn’t fit you, it’s easy to become distracted because you have no skin in the game, motivationally speaking. 5. FEELING A SENSE OF, WHAT’S THE POINT? When we talk about motivation, we’re talking about human energy directed at a purpose. There’s an aim in view. Achieve that aim, and life makes sense. When a marksman hits a bulls-eye, he feels motivated to shoot again. When a salesperson makes a sale, she feels motivated to sell again. When a teacher sees the light bulb of understanding come on in a kid’s head, she feels motivated to teach again. Does anybody really want to do a job that doesn’t accomplish anything? There is a direct correlation between job-fit and emotional health. Let me put it another way: there is a direct correlation between job-fit and sanity. I’m completely serious. People who are in poor job-fits invariably display emotional dis-ease. Among the possibilities I’ve personally seen people experience and/or exhibit are: chronic anger, depression, cynicism, boredom, lassitude (no energy), nervousness, confusion, worry, and denial. Perhaps the biggest category of all is stress (more on that below). I’ve often wondered how many people are seeing therapists for their emotional problems, when the real source of their trouble is that they are going to work every day at a job that doesn’t fit them. Remember, next to a bad marriage, there’s nothing worse—and probably nothing more emotionally toxic—than a bad job-fit. 7. CONFLICTS WITH YOUR SUPERVISOR AND COWORKERS. “My boss is a jerk!” I hear that complaint all the time. Indeed, the number-one reason people quit their jobs is because they can’t stand their supervisor. I wonder, though, if a lot of the complaints people level at their bosses are really the result of being in jobs that don’t fit them. Think about it: if you’re in a mis-fit, you’re probably not doing your job all that well. You probably lack the innate abilities required to do it well. So if you don’t do the job well, what’s going to happen? Your performance is going to suffer and your results are going to show it. Whose job is it to tell you you’re not getting the job done? Your boss, of course. And what’s the likelihood that your boss is going to be able to deliver that bad news in a way that doesn’t hurt or upset you? Not much. So when you’re hurt and upset, what are you liable to do? Get mad at your boss, right? Especially if you didn’t see it coming—which is often the case when people are working at tasks for which they are not gifted. They often don’t know enough to know that their efforts are unacceptable. The same applies with your coworkers. If you’re constantly getting into fights with the people you work with, pay attention to that. It’s a sign that you (or they, or both of you) may be in a job that doesn’t have your name on it. I say that because when I consult with teams, I find they have a way of “outing” individuals who don’t fit on the team. Not that anyone is necessarily aware they are slowly but surely ostracizing one of their members. But teams by their nature like to be effective. They like to get the job done (unless, of course, the whole team dynamic is dysfunctional). So if somebody is not contributing in some way to that end, team members unconsciously start to “lean on” that person in order to correct their behavior. Conflicts at work are inevitable, because it’s impossible for humans to live or work together without conflict. But if you’re experiencing chronic conflict with the people at work, consider whether the root of the problem might be a poor job-fit. I should put this one in flashing red lights, because the body is the last line of defense between a person and complete burnout or breakdown. Remember what I said at the beginning, that job-fit is about energy? If you gain energy doing your job, it’s a good fit. If you lose energy doing your job, it’s not a good fit. I’m not just talking about emotional energy. Motivation affects the body as well as the soul. When you’re doing work that fits you, your body benefits. When you’re doing work that doesn’t fit you, your body pays a price. The biggest price is stress. Stress is very difficult to define, but somehow we all know what it is. Toxic stress manifests itself physically through symptoms like tense muscles, headaches, ulcers weight gain or weight loss, hypertension, sleep problems (too much, too little), and nausea. I suppose we could add secondary symptoms like increased smoking, overeating (which includes incessant snacking), overuse of caffeine-laden drinks, abuse of alcohol and other substances, and addictions of all kinds. It’s interesting that with all the research going on nowadays around heart disease, diabetes, obesity, and other conditions related to stress, no one seems to be paying much attention to the direct correlation between job-fit and stress. Physical ailments are the final warning that a person is in a poor job-fit. So if you’re experiencing some of the symptoms I’ve just described, you need to make a change in employment—not in a few years or months, but now! Life is short enough. No point in making it even shorter by working at a job that’s killing you. 9. YOUR FAMILY DOESN’T LIKE THE WAY YOUR JOB AFFECTS YOU. The people who know you best—and love you most—intuitively know whether or not you are in the right job. Indeed, a couple of decades after the whole debate began about working moms, the research showed that the number-one factor in a child’s well-being was not whether its mother worked, but whether the working mother enjoyed her job. If she did, her kids were fine with her working. If she didn’t, they didn’t like her working. 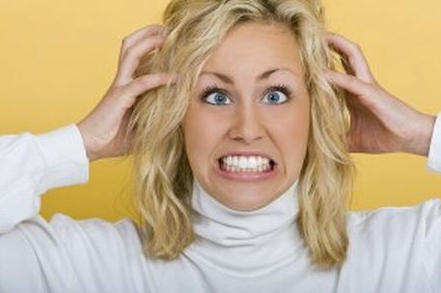 Are you driving your family crazy when you get home from work (they’ll be glad to let you know if you’re unsure)? If so, maybe the real problem is not your family life, but your work life. Dissatisfaction with work leads to dissatisfaction in every other area of a person’s life. 10. JUST WORKING FOR THE BENEFITS. It’s very common for people to tell me they love their job. But when I press in and ask them about it, I discover what they actually “love” is not the work itself or the content of the job, but the benefits they’re receiving. Number one on that list is usually health insurance. Look, I can’t fault anyone for doing what they feel they must to have health insurance (or to have their stock options vest, or to earn a pension, etc.). But if that describes you, don’t fool yourself that you “love your job.” In truth, you may hate your job; you just tolerate it because of the benefits. I always sigh when I meet someone in that boat. I sigh for them, because it feels to me like they are wearing a set of golden handcuffs. They’re chained to a job they can’t stand only because someone has set up a financial arrangement that they find too attractive to walk away from. To me, that’s sad, especially when life is so short. I also sigh for their employer. I mean, how would you like to have someone on your team who is privately saying to their family and friends, “The only reason I stay at my job is for the health insurance”? 11. YOU’RE ACTUALLY DOING GOOD WORK AND EVERYONE IS HAPPY—EXCEPT YOU. It is quite possible to be able to do a job well but still find no personal satisfaction or fulfillment from doing it. I’ve worked with lawyers, doctors, accountants, athletes, musicians, ministers, salespeople, homemakers, and folks in countless other occupations who were doing very good work—but they couldn’t stand their jobs. That’s because only you know whether you are gaining or losing energy from your work. Yes, one sign that a job may fit you is that others affirm your efforts. But just because those others are satisfied with what you’re doing doesn’t mean you’re necessarily satisfied with it or by it. Your giftedness can’t be fooled. When you do the thing that you are uniquely designed to do, you know it in your heart. You feel that “Yes!” That surge of satisfaction and fulfillment. There’s an undeniable flash of joy that washes over your being. If it’s been a while since you’ve experienced that satisfaction, I suggest you seriously consider whether you’re in the right job for you, because you’re probably not. Question: Have you ever experienced one or more of the symptoms of job mis-fit listed above? If so, how did you go about placing yourself in a work situation that fit you better? NEXT POST ON BillHendricks.net: Please, DON’T Follow Your Passion! Wow! I had every single one of these before I left my previous job. Thank you for publishing this list. So many of us just don't know. What about EVERY poor person who just can't afford to up and quit a job according to the above 10 "so-called" signs??????? Then you are waiting tables. I think sometimes you have to work in order to pay the bills...That's me. My job is supplement our income...and it's just that. That's true, but at what point do you decide that it's time to do what you like and start building the foundation to do so? Doing something just to pay the bills should be a temporary thing if it negatively affects your life. I hope that you found where you fit.